The event runs from 9:30 a.m. to 3:45 p.m. in room SC 127 in the BioScience Technology Complex. Themed “The American Dream,” it is free and open to the public. It includes a presentation titled “The Political Crisis in Venezuela: Is a Regime Change Possible?” from 9:45 to 10:45 a.m. by Dr. Luis Fleischman, PBSC professor of sociology and author of “Latin America in the Post-Chávez Era.” Fleischman also served as a foreign policy advisor to Mitt Romney during his 2012 presidential campaign. Another presentation, to be held from 11 to 12:15 p.m., centers on a book chapter titled “Neoliberalism and the Negotiation of the American Dream in Contemporary Latina Narratives,” written by Alvarado and PBSC English Professor Jenifer Skolnick. The chapter is part of an edited anthology titled “A Post-Neoliberal Era in Latin America?” The book was released this year by Bristol University Press. There will also be two panel discussions: The first one will be held from 12:30 p.m. to 1:45 p.m. and will focus on the proposed wall along the southern U.S. border, its effectiveness in reducing immigration flows, and its impact on recent immigration policies. The panel will include the following attorneys from South Florida: Isabel Castillo, Aileen Josephs and Adonia Simpson. It will be moderated by PBSC Work Study Student Allen Eney. The second will be held from 2 to 3:45 p.m. and will be on bilingualism, biculturalism, assimilation and hybrid identity. Panelists include the following faculty, staff and students from the Palm Beach Gardens campus: Maria Garcia, professor of English; Angela Allen, student activities manager; Eliana Mukherjee, professor of education; Julicia Vernon, president, Phi Theta Kappa – Alpha Gamma Sigma chapter; and Sahar Miri, vice president, Phi Theta Kappa – Alpha Gamma Sigma chapter. It will be moderated by Dr. Cary High, professor and department chair of the paralegal program. “The panelists experiences embody the challenges and opportunities of growing up in America with conflicting pressures to assimilate and to maintain a distinct cultural identity,” Alvarado said. 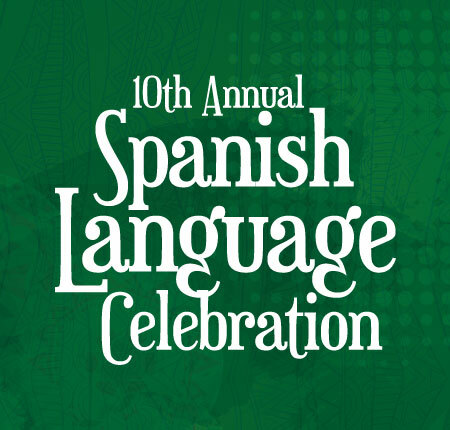 For more information on the celebration, email Alvarado at alvarade@palmbeachstate.edu or call 561-207-5050.